Cloudy. Slight chance of a rain shower. Low 46F. Winds S at 10 to 20 mph..
Cloudy. Slight chance of a rain shower. Low 46F. Winds S at 10 to 20 mph. 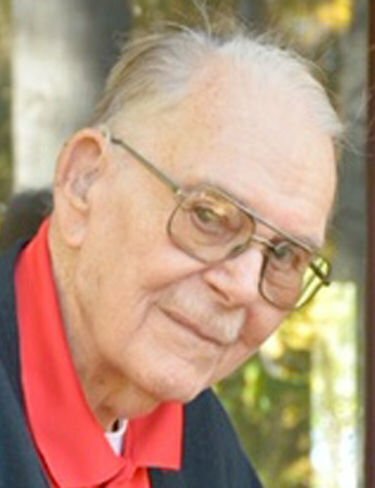 Arthur William "Art" Bloom MONTPELIER — Arthur William "Art" Bloom, age 91, of Groton, passed away on Thursday, Feb. 7, 2019, peacefully surrounded by his family. Art was born on March 16, 1927, in Bronx, New York, to Knut William Bloom and Esther Christianson Bloom. Art was their only child. Art was predeceased by his life partner of 60 years, Margaret "Peg" Reed Bloom. Art met Peg when he was an assistant minister for Peg’s father, the Rev. William B. Reed. Together, they served five United Methodist churches: York, Pennsylvania; Bedford Hills, New York; Ossining, New York; Northport, New York; and Patchogue, New York. After their retirement, Art continued to preach, with Peg by his side, for 20 years in the Rio Valley in Texas and in Groton. Art served in the U.S. Army for two years as a Sergeant in the MP. He then went on to Wilkes College for his criminology degree. While servicing churches, he continued his education at Drew University attaining his Master of Divinity and several years later completing his Doctor of Ministry. Art was passionate about his role in developing and mentoring new pastors entering the ministry throughout his career. During Art’s time in Ossining, he was chaplain at Sing Sing Prison where he served and counseled individuals facing end of life. He was very proud of this work. Art and Peg enjoyed over 20 years of retirement. They split their time between their camp on Groton Pond, which they called home, and their winter home at Rio Valley Grande Estates. While in Vermont, Art enjoyed boating, fishing and swimming. He loved to spend time with his daughter, his favorite son-in-law and his three grandsons, his great-granddaughter and great-grandson. While in Texas, Art enjoyed time with his son and participating with friends in many community events. Art loved to read, make radio control airplanes and make model wooden boats. Dad continued his ministry all thru retirement performing baptisms, weddings, funerals, and counseling those in need. Art’s last several years were spent at Westview Meadows and Mayo Nursing communities where he was welcomed with open hearts. The family will always hold the professionals who became like family very dear to their hearts. Art is survived by his son, Bryan William; his daughter and favorite son-in-law, Joyce Margaret and John Michael; their three sons Anthony William and family Cassie Abreau and their children Camryn, Kaiulani and Giovanni, Joshua Alexander, and Luke Taylor Reed LaRosa and wife Lynne McConnell LaRosa; his dearest friend, Miriam Ward Derivan and her children Ted and Peg; and all of the Reginald and Elaine LaRosa family, longtime Montpelier residents, including Peter and Elizabeth LaRosa Nicholson, Steven and Barb LaRosa and their families. A memorial service will be held 2:30 p.m. on Sunday, Feb. 10, 2019, at the Trinity United Methodist Church, Main Street, Montpelier, VT 05602. Those wishing to express online condolences may do so at www.guareandsons.com.